Celebrate Earth Hour AND Earth Month. Switch off the light Saturday night from 8.30pm for Earth Hour to join 80 countries around the world in highlighting the importance of taking action on climate change. 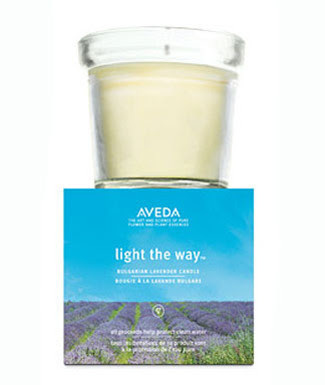 And next weekend you can do it again, but this time light your Aveda Lavender Candle. Each candle sold in April raises funds for Avedas Earth Month projects.